Cultmachine's Shannon Luster and Sharon Jordan sat down with filmmaker KICO VELARDE for an in-depth interview centered around film. 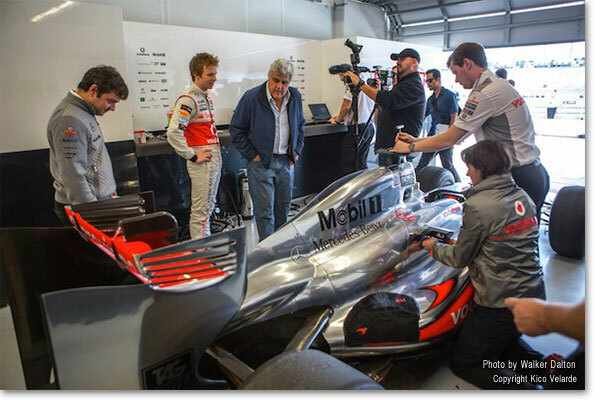 Read here about Kico's experiences working with celebrated TV Host and celebrity, JAY LENO. Kico's film - PVC-1- was accepted into Cannes International Film Festival. PVC-1 earned praise from the respected, international audience, Kico and the crew receiving a standing ovation. This interview delves into Kico Velarde's past and current film achievements, endeavors, and more. For film lovers, Kico Velarde's interview is a must-read! 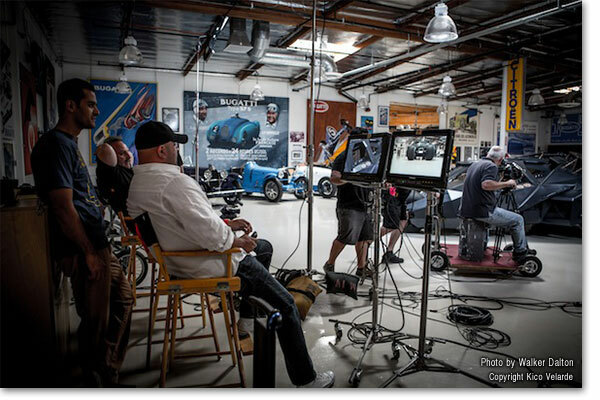 SHANNON LUSTER: You are the Supervising Producer for the Emmy award winning web-series, JAY LENO'S GARAGE. What is it like working for Jay Leno? Any favorite memories you would like to share? KICO VELARDE: Working with Jay is great. When you work with someone who is a true car guy that's as passionate and knowledgeable about cars like Jay is, that passion becomes contagious and before you know it, you start developing a true passion for cars as well. It's funny how I catch myself having these really in depth car conversations with car guys now, and all this knowledge just starts spilling out of my mouth, and I'm like, "Whoa! Where did that come from?" I think this whole experience working on this show has been one big favorite memory of mine. It's truly been an honor to be working alongside a television legend like Jay Leno. I've been to places that I would have never gone before in my life and met car legends like Lee Iacocca and seen rare cars that I never knew existed. I've learned so much from him not only from an automotive standpoint but also within the Entertainment Industry as well. I'm grateful for this opportunity to produce and direct his web-series . I'm definitely taking it all in and not taking it for granted. SHARON JORDAN: Your film - PVC-1 - was accepted into the Director's Fortnight at the Cannes International Film Festival and was nominated for the Camera D' Or Award in 2007. What was it like attending Cannes? KV: Going to Canneswas a dream come true for me. When I was in college, they had this poster up on the TV lab wall that was this super wide shot of the red carpet of Cannes, showing all these filmmakers walking the red carpet and all the press and paparazzi snapping photos. The poster was up to promote an internship for college students in Cannes for the festival. I was dead-broke at the time. So I knew there was no way I could go then, but what I did was I found a person in the poster who was walking the red carpet that had a bald head similar to mine. I circled that person on the poster and with a sharpie marker and put my name next to it. 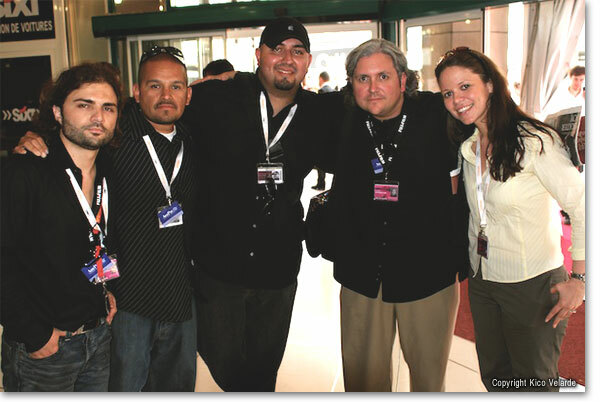 I swore to myself that one day, I would go...Not as an attendee either…..But as a selected filmmaker. Six years later, I was there as a Producer on the film, PVC-1. It was so surreal, but one of the best experiences of my life. 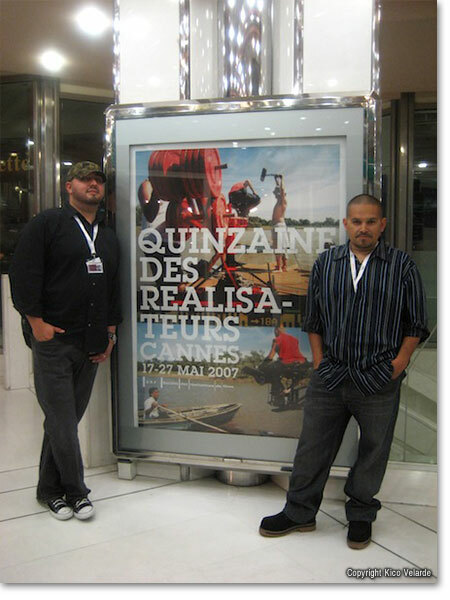 From working on the film in my small edit suite in Ontario, Ca to BANG!......Walking the legendary streets of Cannes six months later….It was just nuts. I got to meet filmmakers from around the world, made some lifelong friendships, and met both actors and directors that I have looked up to since I was young. Then the big day came when PVC-1 had it's first screening in Cannes. They pulled us up, our five man team on stage, and introduced us to the Cannes audience. Our director Spiros said a few words; the theater then dimmed it's lights. It was 85 minutes of pure stress waiting for our film to end to see what the audience reaction was. Let me tell you, Cannes is the world stage of Cinema, and if you want a no holds barred opinion of your film, then Cannes is the place to get it. You're either going to get a standingovation….Or a theater full of boos. Fortunately, the audience loved PVC-1...And we got a standing ovation, which was moving to say the least. There wasn't a dry eye from our team. We were honored...We were thrilled. We were loved by Cannes. If you look for it on YouTubeand Vimeo, someone has our standing ovation on video. You'll see me there, crying like a baby. I am very proud of that moment in my life. SL: You are quite an accomplished editor. What editing system do you use? What tips would you give people who are interested in editing? KV: I started my career in editing. The best decision in my career. I knew I always wanted to be a film director, but I knew I had to learn a different skill to keep me on set and in the editing room, so I can learn from other directors. Editing not only became my strength, but it really helped me develop my eye for directing. It help me become a more precise storyteller and efficient director on set. I can look at a scene and know exactly what will and will not work, and if I make a mistake on set, I know how to fix it quickly with shot cheats and pickups without wasting time or money. If it wasn't for editing, I would be learning this on set, which ends up being very costly. That being said, for now my weapon of choice is Premiere CC, but at one time, it was Final Cut Pro 7. I use to work for Apple for 4 years, teaching Final Cut Pro, and I mastered it there. Then FCPX hit, and like many other editors out there, I was like "What the hell is this?" I gave it a chance, but at the end of the day, I truly feel like Apple took several steps back with FCPX. FCP7 had the industry locked in….It only needed to go to a 64-bit platform, and the game was over for any other NLE, but what was done was done, and so am I with Final Cut Pro for now. I've been using Premiere CC for a few months, and I'm loving it! Premiere CC feels like what Final Cut Pro 8 should have been. Although Premiere CC is my new weapon of choice, I will always have a soft spot and fond memories of Final Cut Pro. SJ: You are quite a talented producer and director like in your whimsical short film - "THE SHOOTING STAR SALESMAN" - starring Yancey Arias and your son, Elijah Velarde. What are some of your favorite memories working on "THE SHOOTING STAR SALESMAN"? KV: My favorite memory from "THE SHOOTING STAR SALESMAN" is seeing everyone's passion and dedication to making the film. 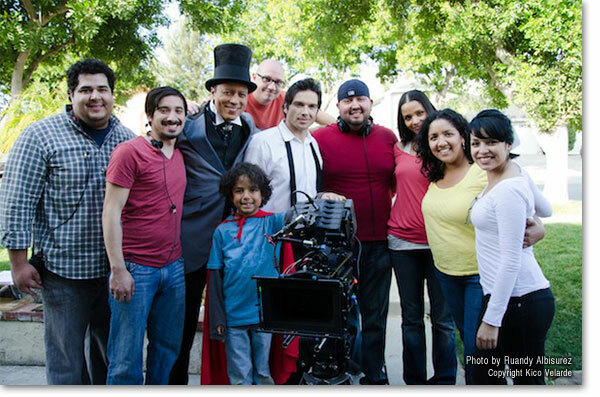 I was fortunate to have a very talented and passionate cast and crew for the film. So many people worked for free or for low pay, but they worked hard on it as if they were getting top industry pay. I wish we had the budget to have paid them what they deserved, but everyone who worked on it loved the story and were dedicated to the vision I had for it. There were many long hours and roadblocks along the way, but everyone stuck it out and just gave it their all. I made sure every person was invested in it creatively. I think that is why the film turned out the way it did. There was true passion from our cast and crew, fueling our set from day one. That's the best feeling in the world to have as a director, knowing your cast and crew not only sees your vision but are in it for the long haul. SJ: With both producing and directing experience, do you prefer directing? Producing? Or both? And why? KV: I would have to say both. I love the ability as a storyteller to have a vision to share as a director and making it come to life. As a producer, I love pulling everything together to help bring someone else's vision to life. They are both rewarding and gratifying in their own special way. SL: As an Alumni from California State University, San Bernardino, did your training there help you in your career? And if so, how? KV: Most definitely. I really picked up my technical skills there: working with cameras, editing, lighting, etc. etc. I had many great professors there who helped shape the filmmaker I am today. One of them being Mike Wichman. Mike was great. He would give us full access to the Video Lab to not only learn our television curriculum , but he also gave us the freedom to experiment with filmmaking. That freedom gave us the opportunity to feed our creativity, which then fed our passion for the art of storytelling.I think if we were hard pressed to stick to the Television curriculum 100%, I wouldn't be the Director and Producer I am today. Thanks Mike! Scroll down or click here for Mike Wichman's response. SJ: Is there anything that you would like to discuss that we have not covered? KV: Currently, I am working on my next short film, "YEAR OF THE FIREHORSE." We are looking to go into production with it by this summer. I am really excited about this film. I have some great Executive Producers behind this film who are eager to work with me on telling this love story that takes place in the future. It's THE NOTEBOOK meets LOOPER. The challenge with this film is to tell this great love story in under 15 minutes without losing site of your characters...And your audience. 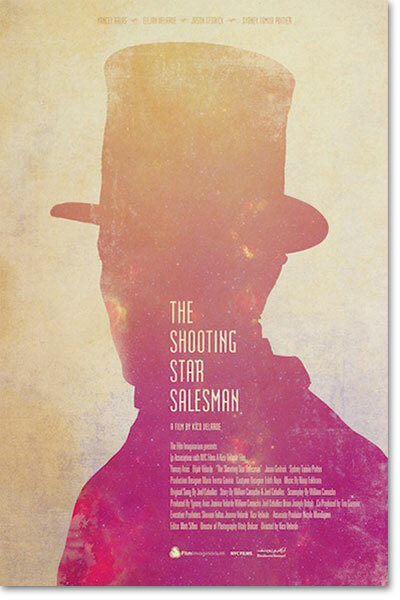 I am also working on getting the feature version of "THE SHOOTING STAR SALESMAN" funded. We have an amazing feature script that really dives deeper into the background of the Salesman and his relationship with his new found friend, Elijah. I'm very excited to share my vision of the feature film version of "THE SHOOTING STAR SALESMAN" with everyone. It's going to be just absolutely gorgeous! I knew Craig just as he was developing into his “Kico” persona. I‘ve tried, but he’ll always be Craig to me. He told me that his mother and I are the only people allowed to call him that, and I’m honored! The first time I realized that Mr. Velarde was a serious, creative, person was when he walked into the editing room carrying a PlayStation console. He wanted to connect it to the editing system to produce a video incorporating the “Grand Theft Auto” game. I thought, “wow, this guy really thinks differently!” He was hanging-out in the studio and editing bays so much that I hired him to help me run it! Craig always seemed to do what he said he was going to do. While others just dreamed, he worked at it. I think that’s one of the major keys to his successes. Craig is an unselfish person as he was always eager to help and inspire other students with their productions too. I am so proud of his professional achievements but more importantly, I’m truly impressed with the man he has become. He is a real family-guy at heart. I’ve watched eyes light-up when he speaks of them. For all the talent and successes Mr. Velarde has accumulated, he is one of the most humble people I’ve known. The mark of a true professional in my book! I love this guy and gratefully call him a friend to this day.